GANDHINAGAR: Air pollution is diminishing India’s capacity to harness power from the sun, experts say, undermining billions being invested in renewables as the energy-hungry giant emerges as a solar superpower. New research has found the smog and dust that sickens millions across India every year is also sapping solar power generation by more than 25 percent, far beyond levels previously thought. In the first study of its kind, U.S. and Indian scientists measured how man-made particles floating in the air and deposited as grime on solar panels combined to seriously impair sunlight from converting to energy. This interference causes steep drops in power generation, they found. 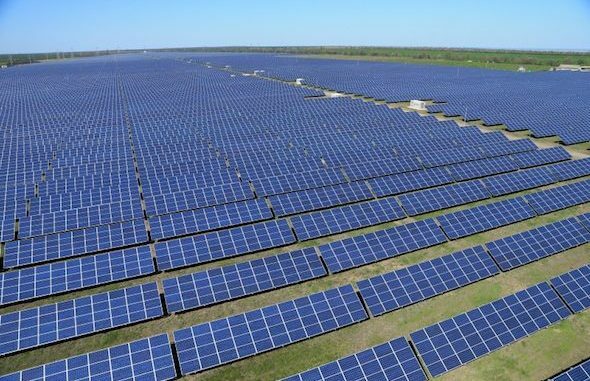 At present levels in India, it could amount to roughly 3,900 MW of lost energy — six times the capacity of its largest solar farm, a gigantic field of 2.5 million panels. “A simple calculation shows that this is a big amount of energy we are going to lose,” Professor Chinmay Ghoroi, who co-authored the paper, told AFP at the IIT-Gandhinagar. These huge losses will only compound as India realises its grand solar ambitions, experts say.